Spring Carnival was in full swing at the Belleview Elementary School on May 7, 2015. Special thank you to Dr. Theroux and Dr. Barefoot of Total Orthodontics for sponsoring this year’s carnival. Tickets were flying and so were the photo booth props. Great fun was had by all. Kids in Need of Dentistry held a fund raiser on May 7th, 2015 in the UMB Bank Building in downtown Denver. The Colorado Orthodontic Foundation sponsored the wonderful evening of wine and cheese and support. 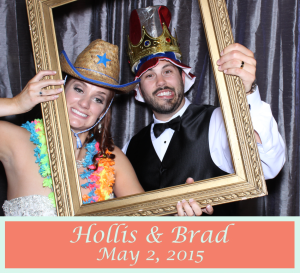 Remington’s Room in Cheyenne Mountain Resort never looked finer as Hollis and Brad celebrated with family and friends last night, May 2, 2015. The Doctors were “In the House!”. The DJ was spinning the music and had everyone up on the dance floor. Masters Memories was making some memories too over by the Grand Piano.